Love a good glow? 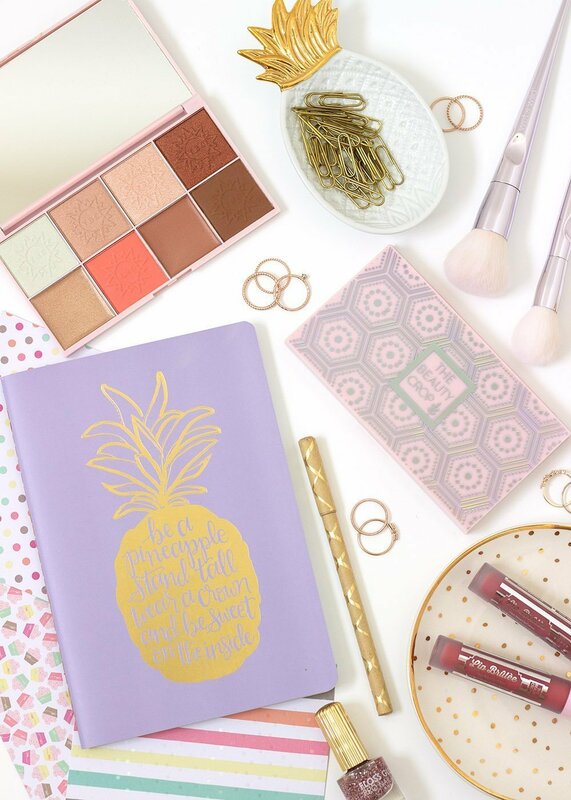 You might want to check out the latest launch from The Beauty Crop! 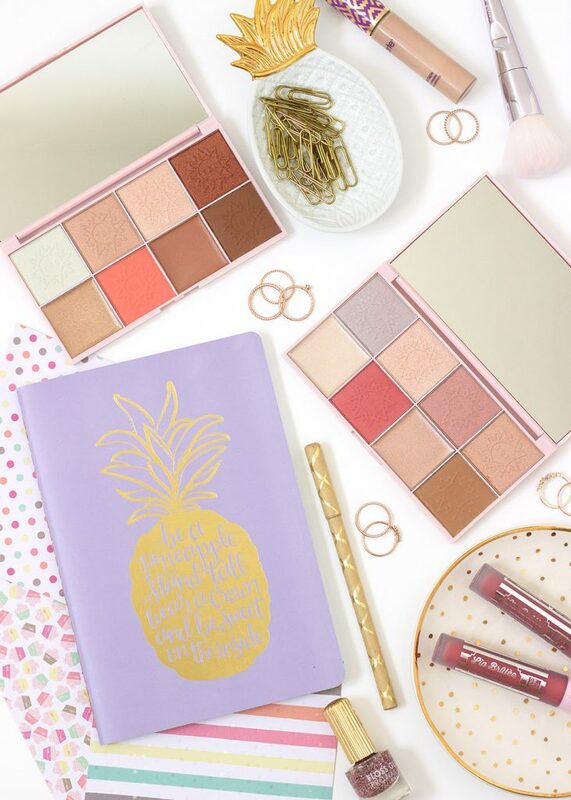 The new Travel Tea Palettes have everything you need to sculpt, highlight, and blush your face to perfection. The brand generously gifted me both versions of the palette in exchange for my honest review, and I’ve been having some serious fun testing them out. So, if you’re curious to learn more about these palettes and what my experience with them has been, keep on reading! 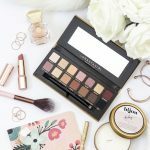 The Beauty Crop is a cruelty-free beauty brand inspired by healthy living. Their simple formulas are derived from natural ingredients that not only deliver on performance, but also nourish your skin. 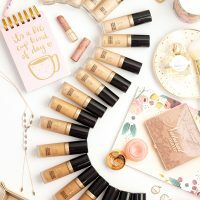 All of their products are geared towards a busy, on-the-go lifestyle, helping you achieve beautiful, natural looks effortlessly. 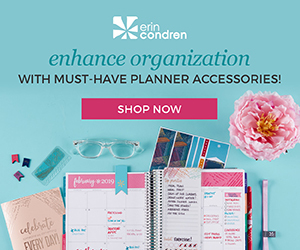 I’m fortunate enough to be an affiliate for the brand, so any purchases made from the links in this post will earn me a small commission (thank you in advance if you choose to use them!). 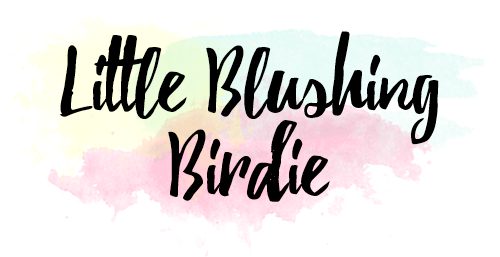 You can also save 10% on your purchase when you use my discount code (LITTLEBLUSHINGBIRDIE) at checkout. 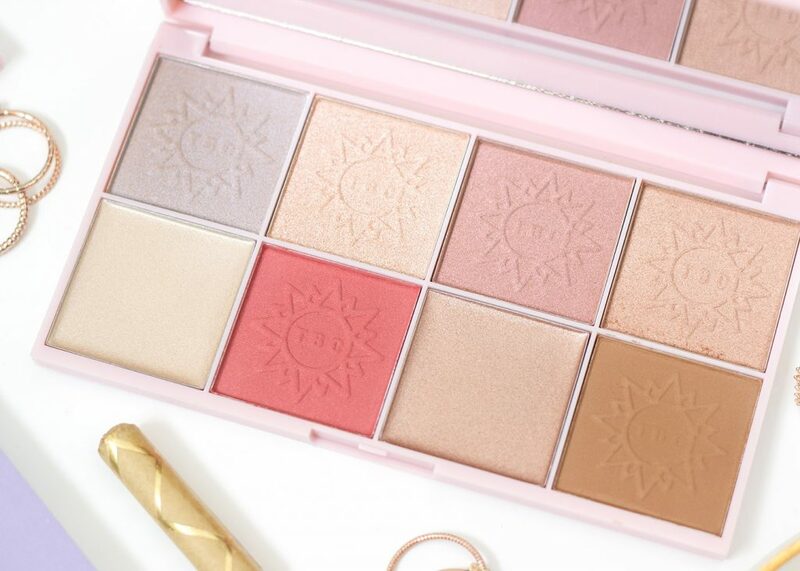 The Travel Tea Palette is a universally flattering face palette that’s designed for easy use on-the-go. Each palette contains blush, bronzer and highlight in four different formulations, all infused with antioxidant-rich Green Tea. Each formulation can be worn alone or layered together to create your desired look. The palette is available in two color varieties: Mediterranean Spring and Moroccan Sun. 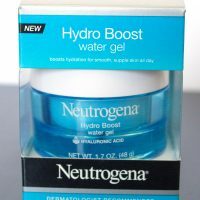 While the brand states that both versions can be used on any skin tone, I find that Mediterranean Spring generally flatters lighter complexions, while Moroccan Sun may be better suited for those with deeper skin. 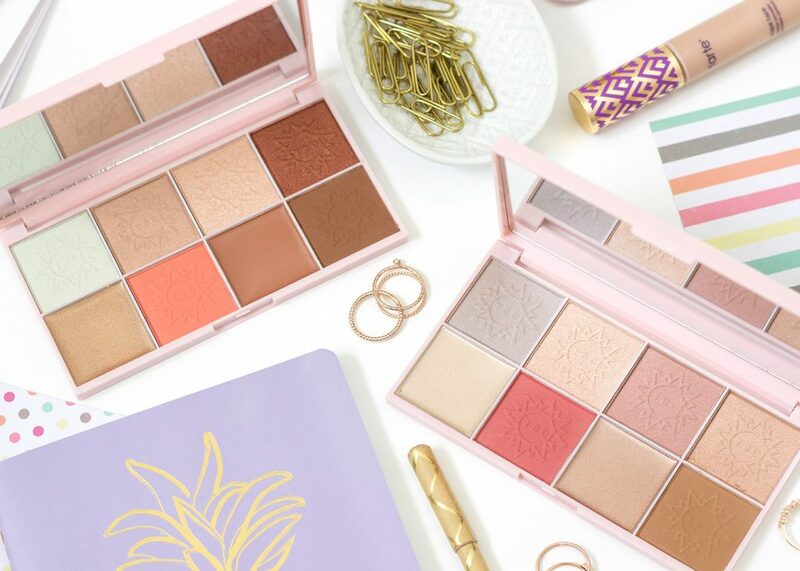 Each palette retails for $24.50 and contains a net weight of 18.6 grams of product. 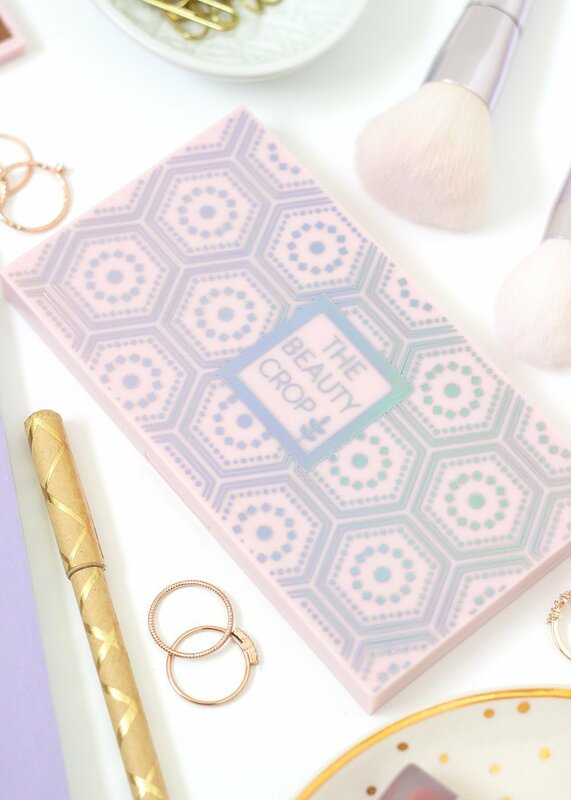 I’ve always been a fan of The Beauty Crop’s playful and pretty aesthetic, and this product is no exception. The holographic design on front cover is gorgeous, not to mention a tiny bit mesmerizing. The exterior packaging is made of a quality plastic and has a secure snap closure. Considering this is a travel palette I appreciate that it doesn’t feel like something that will easily fly open in my suitcase. Inside you’ll find a very large mirror that is perfect for applying your makeup on-the-go. 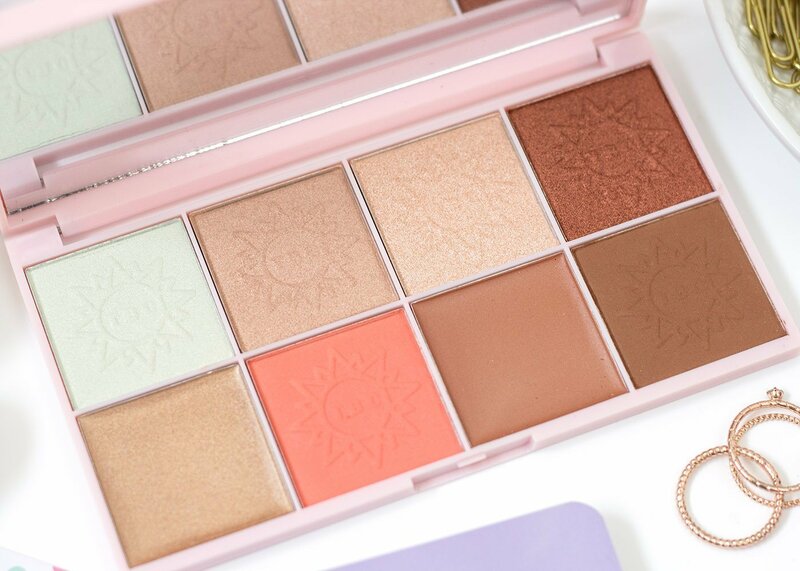 The pans are nicely sized and have a really pretty sun pattern with The Beauty Crop initials embossed on top. 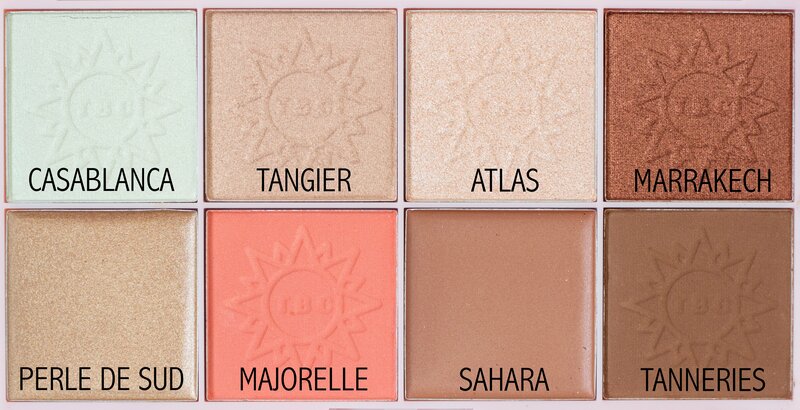 Now, I know that some people prefer being able to see the shade names directly below the pans, however, I don’t mind that the brand opted to print them on the back. When you’re designing a palette with the word “travel” in the name, I think it’s smart not to waste space and to keep your packaging as slim and portable as possible. Overall I’m really pleased with this palette packaging-wise. I think for the price point its both pretty and functional, and doesn’t feel cheaply made. The one thing that I will note as a word of caution is that the powder highlight formula in particular is very soft. My first Mediterranean Spring palette arrived with one pan damaged, and I needed to be sent a replacement. 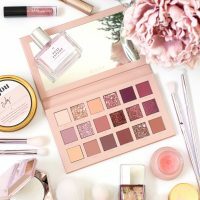 If you are planning on traveling with this palette I would take care to wrap it in a shirt or give it some other extra protection from being banged around to avoid breakage. 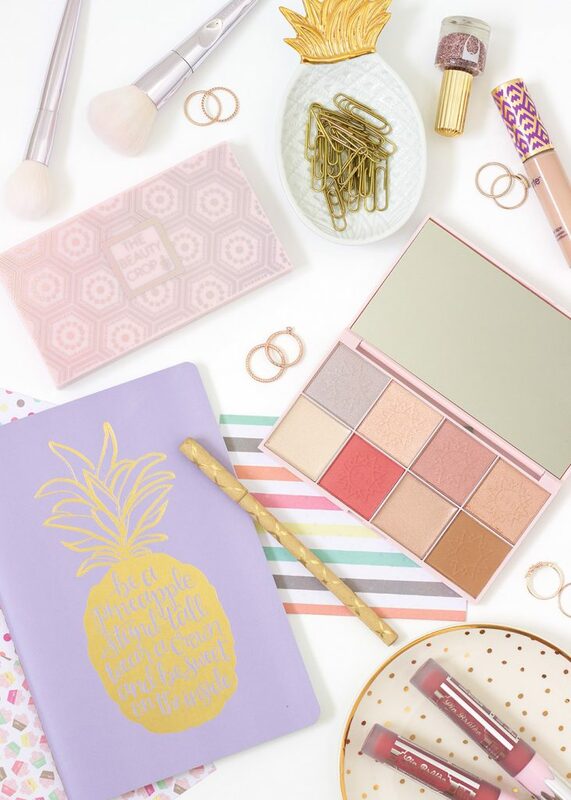 Each Travel Tea Palette contains four different product formulations: cream, matte pressed powder, pearl pressed powder highlighters and multi-toned pressed chromatic pearl highlighters. While I appreciate having so many different finishes and textures to play with, I think this palette could have been better balanced by swapping out one of the highlights for another blush. As it stands, each palette contains a single matte blush, a single matte bronzer, and 6 pans of highlighter. As much as your girl loves glow, that does feel like a bit of overkill. On that note, if you aren’t a fan of blinding highlights, this palette may not be your cup of tea. The creams are by far the most subtle, and blend effortlessly into the skin for a healthy, wet-looking glow (I prefer using my fingers to do so). However, the pearl pressed powder highlights are intensely reflective, and have an almost thick, dimethicone texture to the touch. The chromatic pearl highlight has a very similar texture, and leaves a colorful, duochromatic sheen to the skin. I did not find any of them to be glittery or harshly metallic, however you may want to apply with a light hand to achieve a more natural look. Speaking of using a light hand, you’ll also find that both the matte bronzer and matte blush pack on quite a bit of pigmentation. They are extremely soft in texture, but can be easily overapplied or become patchy if you use a heavy hand or a dense brush. If you have a lighter complexion, or cooler undertones to your skin, this version of the Travel Tea Palette is probably the one you’ll prefer. 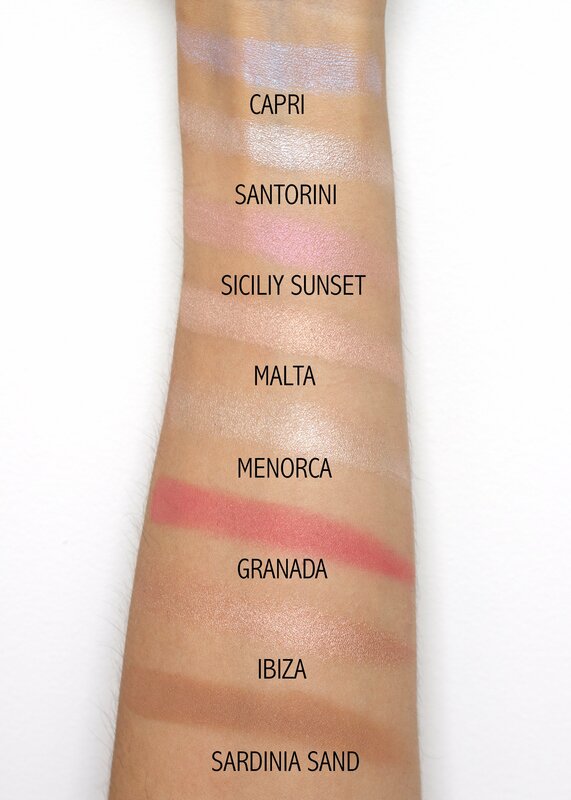 The bronzer in Mediterranean Spring is significantly lighter than the one in Moroccan Sun, and would most likely not show up as a bronzer on deeper skin tones. 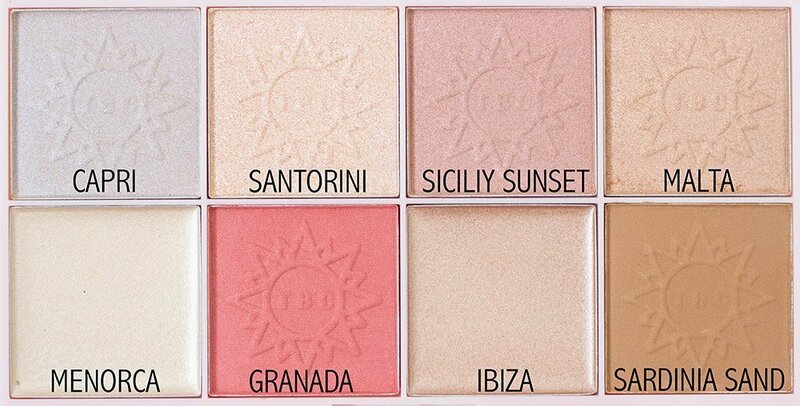 The Granada blush, however, is surprisingly bold and pigmented, so you’ll want to be careful when applying if your skin is very fair. 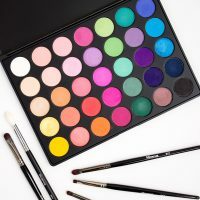 The highlights in this palette all lean on the pink and peach side of the spectrum, with the exception of Capri, which has a gorgeous blue duochromatic shift. If you’re feeling a bit uneasy about the idea of wearing a blue highlighter on your cheeks, try using it as an eyeshadow or inner corner highlight. As much as I personally am not a fan of super colorful highlights, I have to admit that this one looks pretty stunning on the skin. 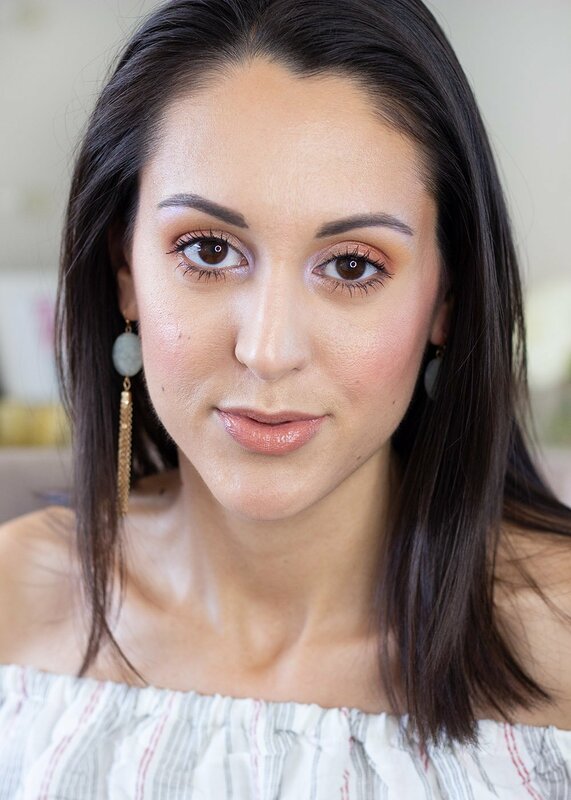 The copper and gold tones of the Moroccan Sun palette make it a perfect option for those with deeper skin or warm undertones. 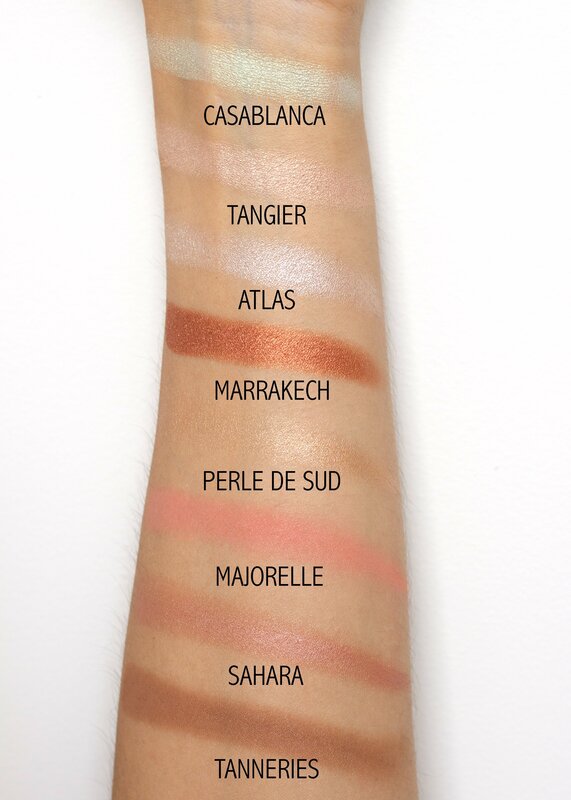 While a shade like Marrakech isn’t something a person with light to medium skin like myself could use as a highlight, it’s lovely as an eyeshadow (which is how I used it in the look you’ll see later). The duochromatic highlight shade in this palette, Casablanca, has a stunning green/gold shift. Again, this could easily double as an eyeshadow if you aren’t a fan of wearing colorful highlights elsewhere on the face. For this look I used a blend of shades from both palettes on my face and eyes. 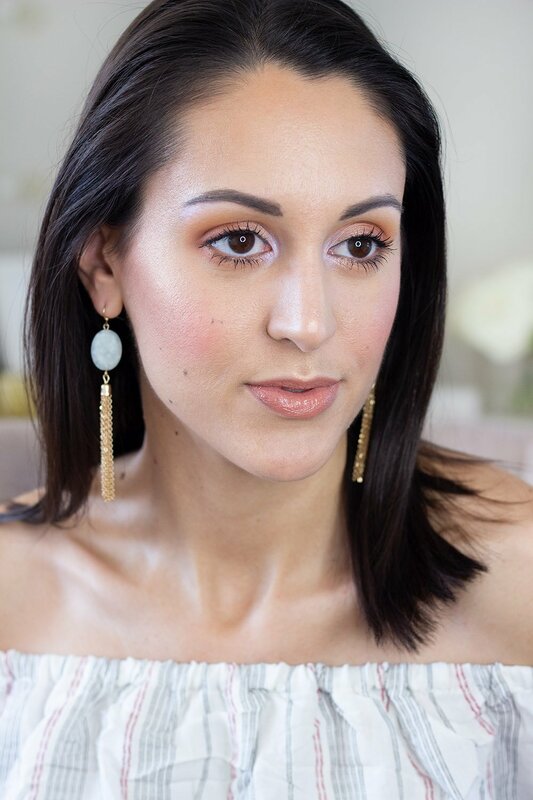 From the Mediterranean Spring Palette I used Sardinia Sand and Grenada for my blush and bronzer, and then applied Malta to my cheekbones as a highlight. I also used the shade Capri to highlight my brow bone and the inner corners of my eyes. 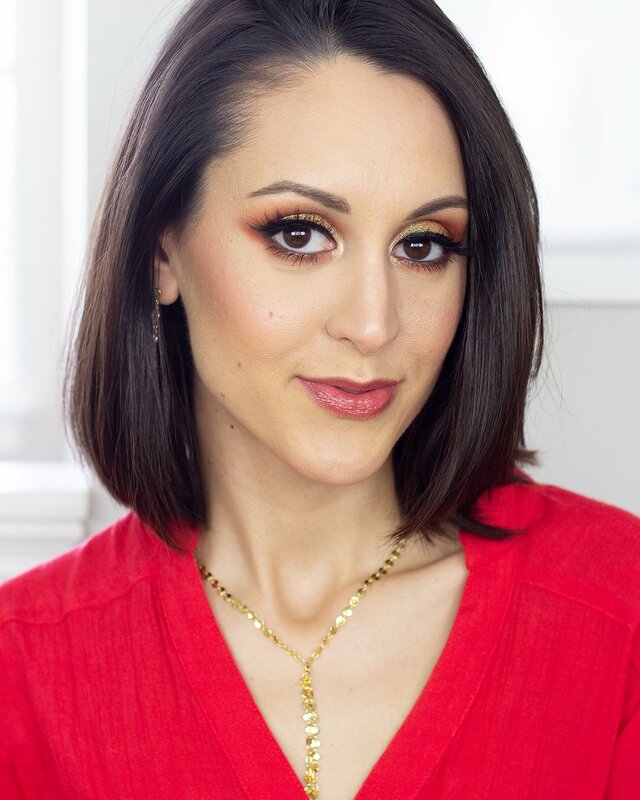 Then, from the Moroccan Sun Palette I used the shades Marrakech and Tangier to add a bit of shimmer to my lids (the remaining shadows are from the Anastasia Beverly Hills Soft Glam Palette). On my lips is the Too Faced Melted Chocolate Liquified Lipstick in Chocolate Milkshake. Overall I think The Beauty Crop did a great job curating these Travel Tea palettes. The packaging is adorable, the quality of the product itself is lovely, and the price is spot on. I would have preferred they included a second blush option in lieu of one of the highlights to make the palette a bit more versatile, but I’m happy with the looks I’ve been able to create regardless. If you’re a big fan of bright, blinding highlights, I think they’re worth checking out! 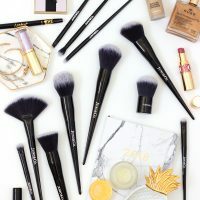 Next Next post: Beautiful and Affordable Brushes from Juno & Co.